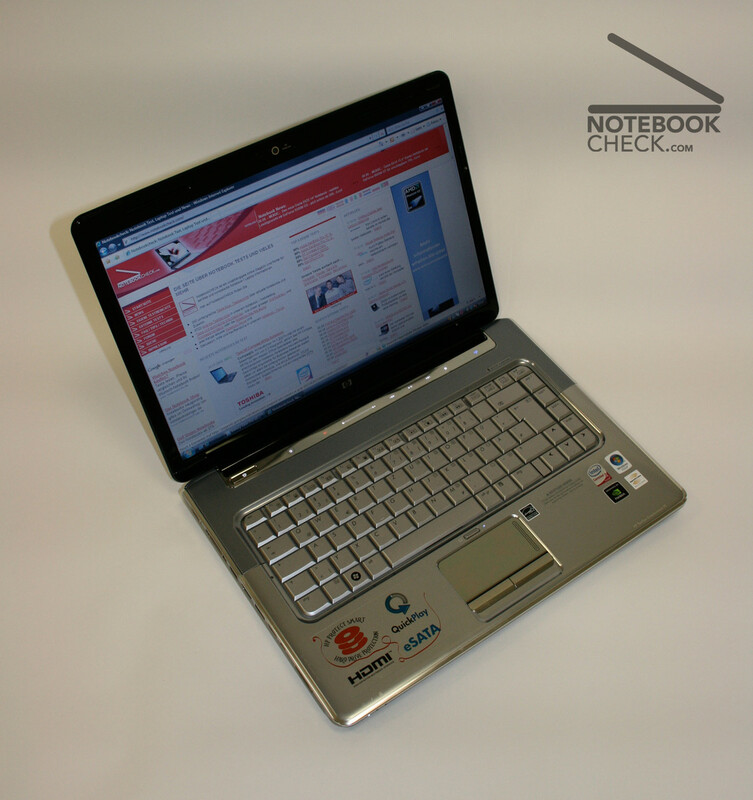 The HP Pavilion dv5-1032eg manages to combine low price and good equipment. An nVIDIA GeForce 9600M GT combined with a Core 2 Duo processor by Intel, even promises playable performance. 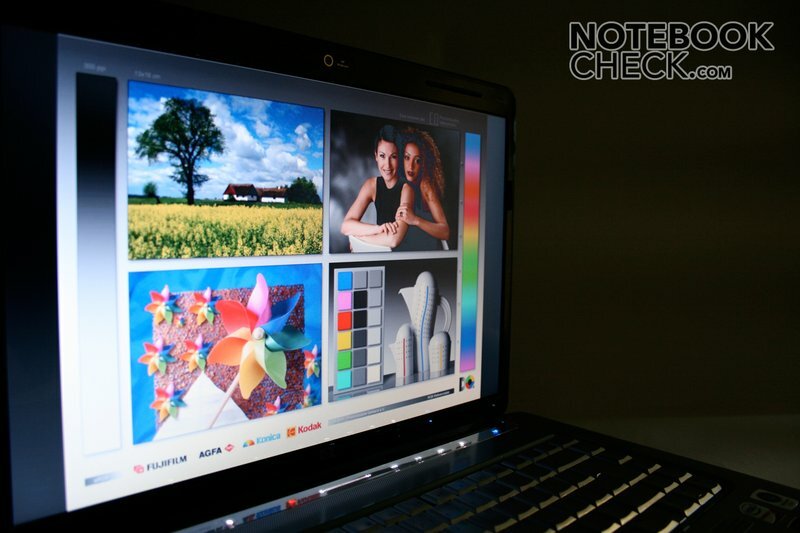 The following article covers whether this multimedia notebook is able to meet the expectations arisen by the notebook specifications. 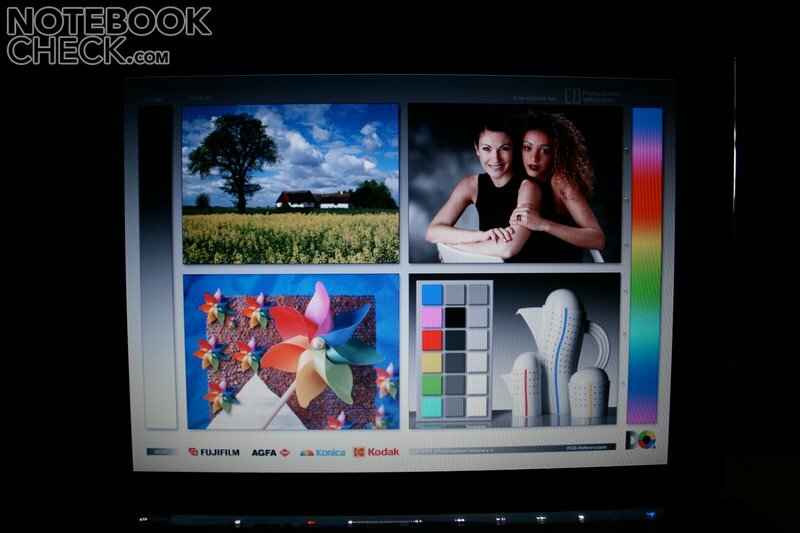 HP follows today's trend and presents a futuristic notebook with many high-gloss surfaces with chrome effects and imprint patterns. Bevelled edges and corners are an important design element. But, also the central hinge has an important impact on the look. Due to its construction the opening angle is limited. Below the opening mechanism there is a chromed sensor moulding for hot keys. The hinge can be easily moved and so, the opening angle can be easily adjusted. Furthermore, there is hardly any see-saw afterwards. Furthermore, it seems durable, because it is rather wide. However, a transport hook which allows locking the lid is not available. The workmanship is besides some uneven gaps good. The used materials appear to be neither cheap nor of special high quality. Because of the price, this is not surprising. The stability of the case is also good. 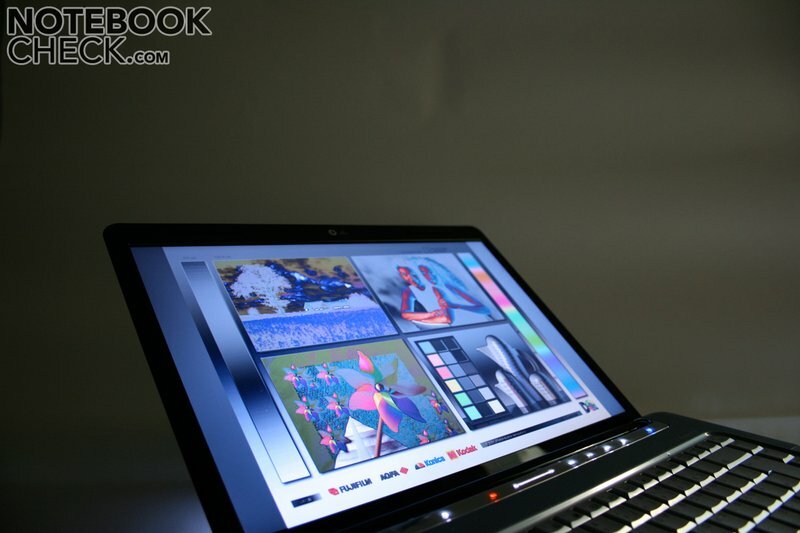 The base unit hardly gives and hardly creaks when handling with this notebook. The display lid, which is made of plastics, is sufficiently flexural rigid and protects the display well. When we applied force at the backside, the display did not change at all. 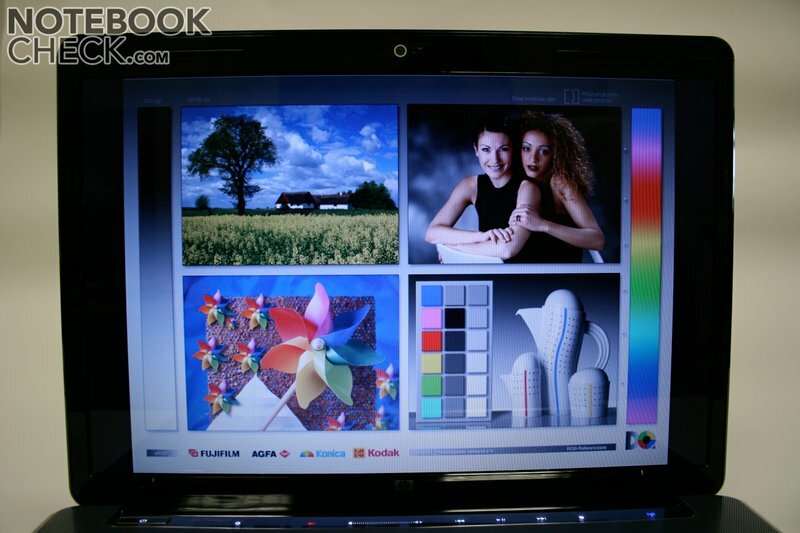 A highlight of the HP dv5-1032 multimedia notebook is its variety on interfaces. We were only missing digital audio outs and a modem port. The eSata port is especially note-worthy. It allows to connect an external drive without loss of speed. 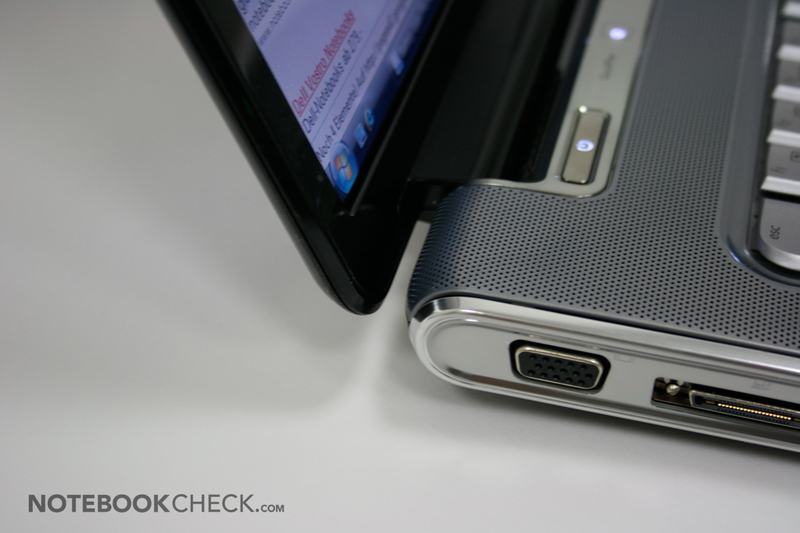 Two headphones ports and a docking station port are also advantageous. The integrated IRDA receiver can be used with the provided remote control. We assume that it is only uni-directional, i.e., that it can only receive signals. Furthermore, the price includes 24 month manufacturer warranty (pick-up and bring-back service, parts and work) and some software. However, only the pre-installed MS Works (reduced Office) and Cyberlinks DVD suite can be utilized for a longer time. Norton Internet Security and MS Office Home and Student 2007 can only be used for 60 days and must be bought afterwards. 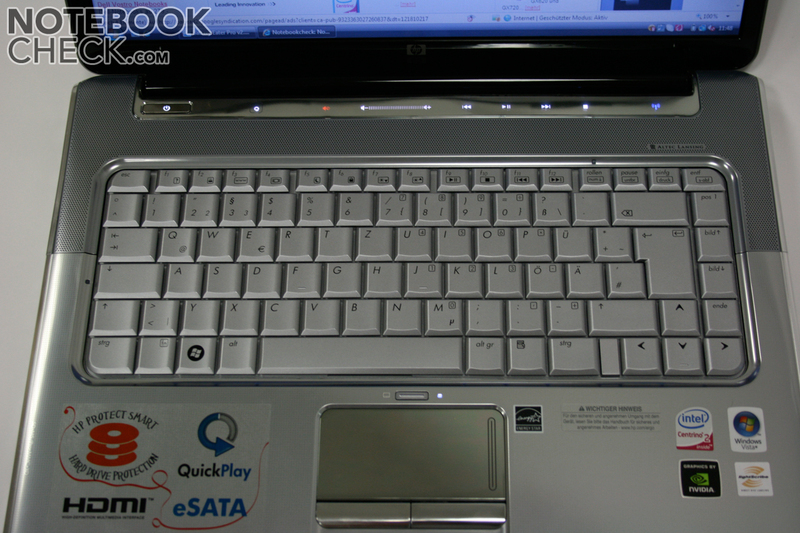 HP equipped notebooks of the Pavilion dv5-1000 series with keyboards, which have a standard size and an excellent layout. 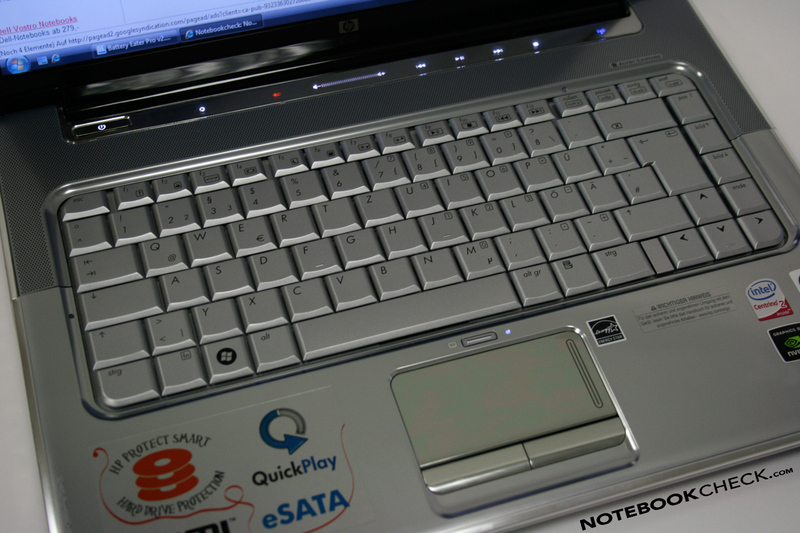 We especially liked the big cursor keys and the double-spaced enter key during our test. 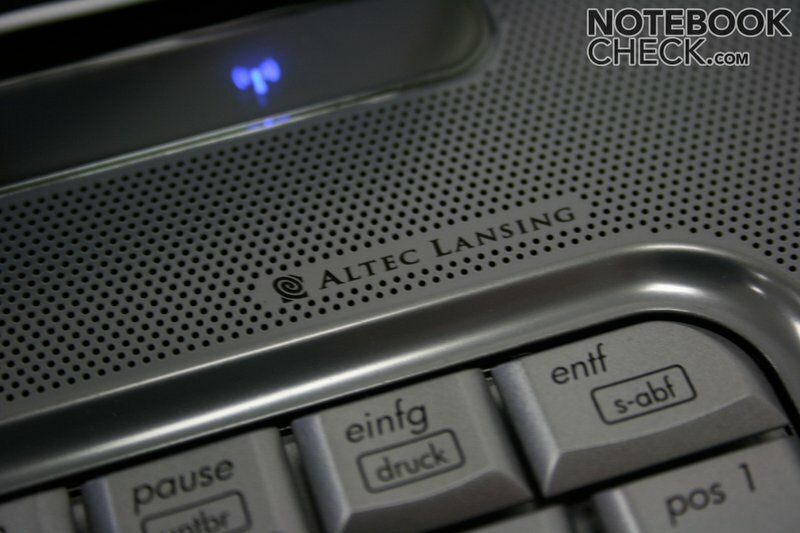 Typing with the silver keyboard is characterized by a sufficienly long key travel and a well recognizable feedback. To summarize, the keyboard left a good mark. The touchpad is also sufficiently big. Unfortunately, the look was considered more important than the gliding properties of the surface. Using the pad for a long time was rather cumbersome. 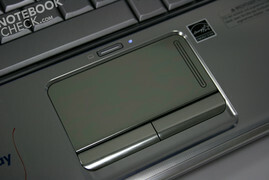 Furthermore, the silver touchpad surface gets easily soiled. 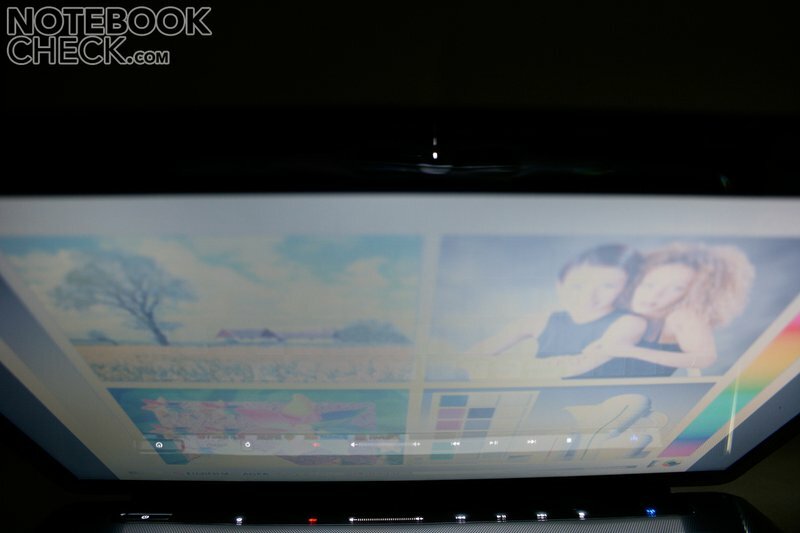 The 15.4 inch BrightView display is unfortunately less bright than its name implies. The average brightness of 158 cd/m² of this reflecting display is only sufficient for indoor operation. 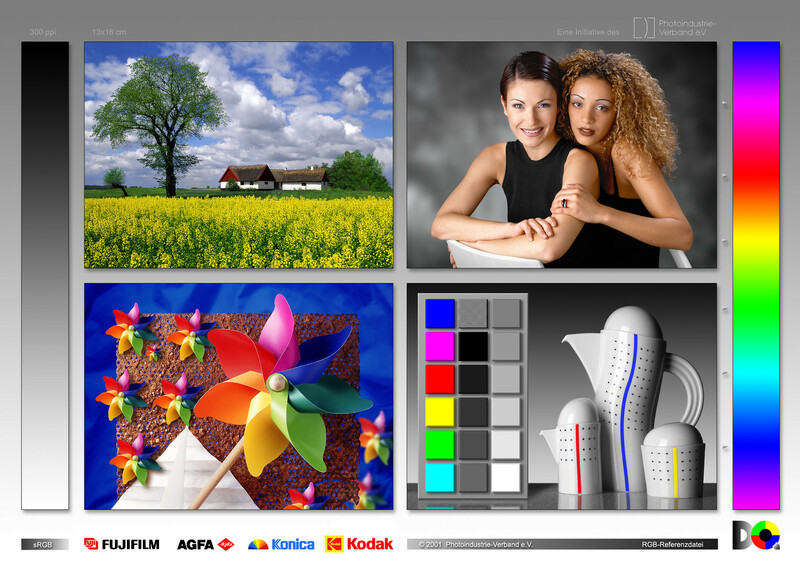 The resolution of 1280x800 pixel is also not outstanding high. So, the desktop size is average. Our personal impression was, that the colours are strong, but cold. The excellent grey level gradients without visible grey level changes are note-worthy. The viewing angles are typical for a notebook TN. They are horizontally sufficent, but vertically rather limited. Looking top down, the contrast quickly diminishes. It gets too low and the displayed contents get illegible. 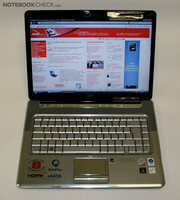 Regarding performance the HP dv5-1032eg especially convinces by the built-in nVidia GeForce 9600M GT graphics card. Combined with a 2 GHz Core 2 Duo dual core processor (Penryn core in 45 nm technology with 3MB L2 cache) this multimedia notebook achieves a good performance considering its price category. Although it was a little bit saved on these two core components (least powerful Penryn processor, 9600M GT with slow GDDR2 memory), this combination still allows to smoothly run current games. Older, less demanding games (e.g., F.E.A.R.) can even be played on maximum detail level. Due to 3072 MB RAM (unfortunately also DDR2) the performance is sufficient for demanding picture processing. Of course office and Internet application can also be run without problems. The built-in nVidia GeForce 9600M GT with 400 MHz 'fast' GDDR2 is about as powerful as its predecessor, the 8600M GT with GDDR3. 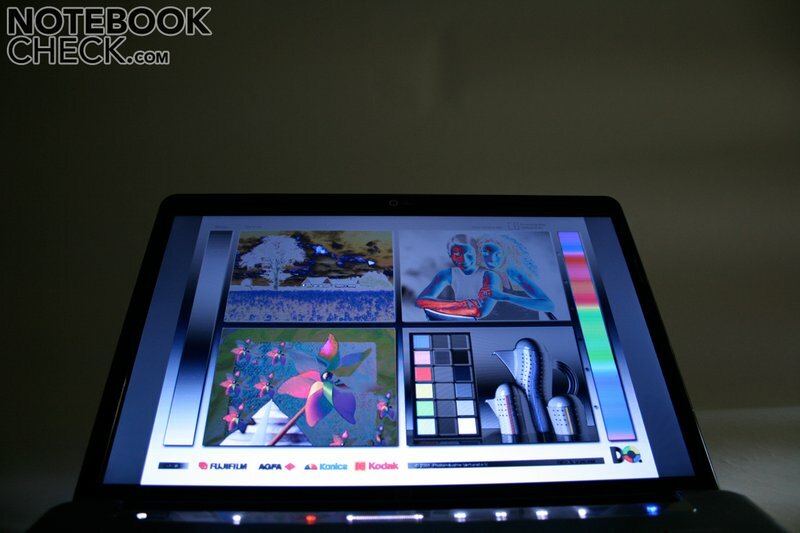 The 3DMark 06 benchmark result is, e.g., more or less identical to the one of the older Dell XPS M1530. Current games like Unreal Tournament 3, Call of Duty 4, or Race Driver Grid run therewith smoothly on medium to high details. Today there are no faster notebooks available in this price category. The new Core 2 Duo P7350 is based on the Penryn refresh (Centrino 2) and is at the time of writing the slowest Core 2 Duo processor with FSB1066. According to Intel this processor has a maximum energy demand of only 25 Watt and should so run relatively economically. In terms of performance the P7350, which is equipped with a 1066 MHz fast frontsidebus, can even catch up with the T8100, whose clock rate is 100 MHz faster. 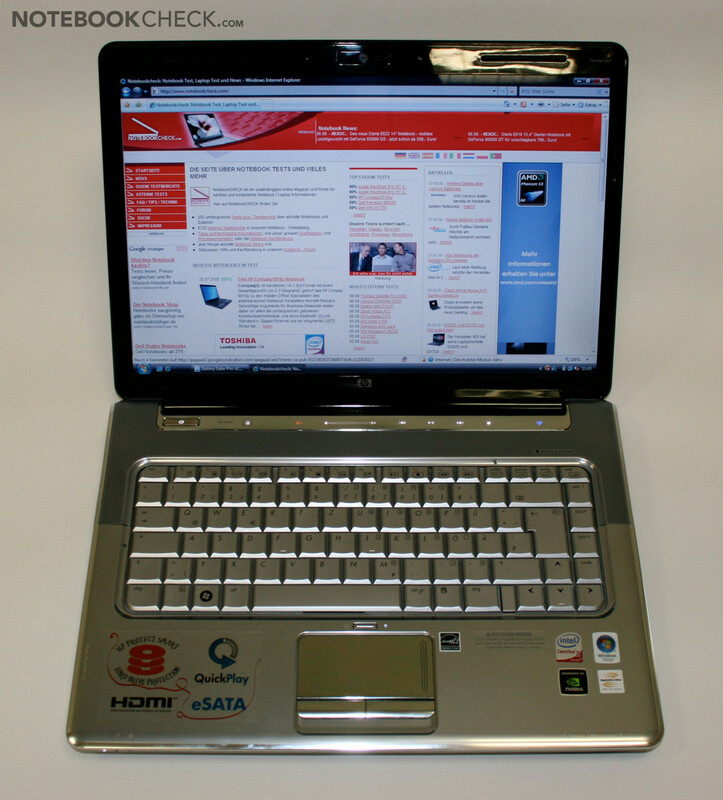 The built-in Hitachi HTS542525K9a serial ATA hard disk with 250 GB is an averagely fast notebook hard disk. For applications which demand a higher hard disk performance it should be replaced by a faster hard disk. Our measurements of the system noise could only be done with limitations. The test was run in an air-conditioned room. The noise level in there was above 38 dB. So, we cannot say much about the minimum noise level. 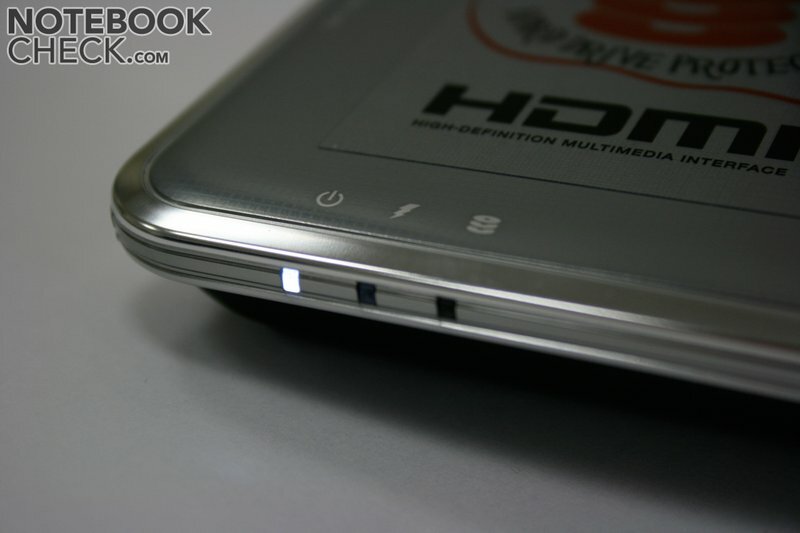 In general the dv5 was clearly quieter than the also reviewed HP dv7, which is equipped with similar hardware. The measured maximum noise level of 40.7 dB(A) was tolerable. However, the fans ran also without load all the time, but, clearly quieter. We did not recognize any annoying rising or falling. To summarize, the noise emissions of the fan are not disturbing. 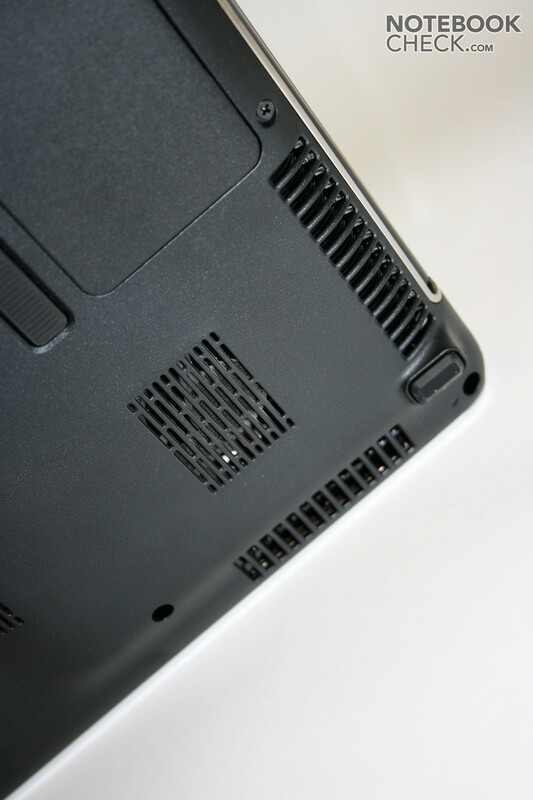 The average temperature of the HP Pavilion dv5-1032eg's case was 36°C at the top side respectively 39°C at the underside. These values were measured after a long-time full load period in a constantly warm environment, whereas the ambient temperature was 22°C. So, the notebook can get hotter in warmer environments. Compared to the bigger dv7 series, which has a built-in subwoofer, basses are clearly missing. Furthermore, the maximum volume is rather low. However, the speakers are sufficient for undemanding music. Compared to other notebooks without subwoofer the sound is even good. 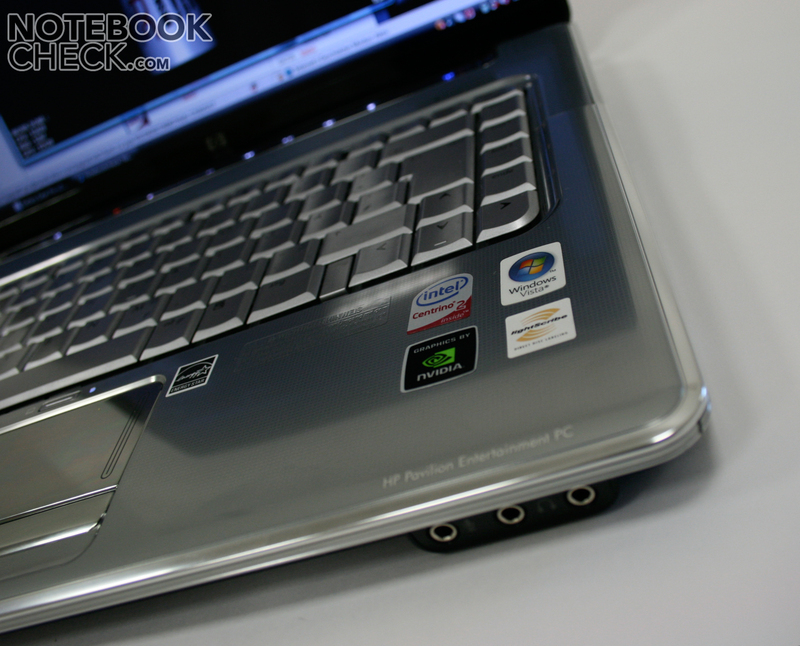 Equipped with a 55 Wh lithium ions battery, the HP Pavilion dv5-1032eg has a minimum runtime of nearly 1.5 hours under full load (BatteryEater Classic test). This is a good runtime considering that the battery is small. Without load a battery runtime of about 3 hours should be possible. With standard load the battery life should be somewhere in between. 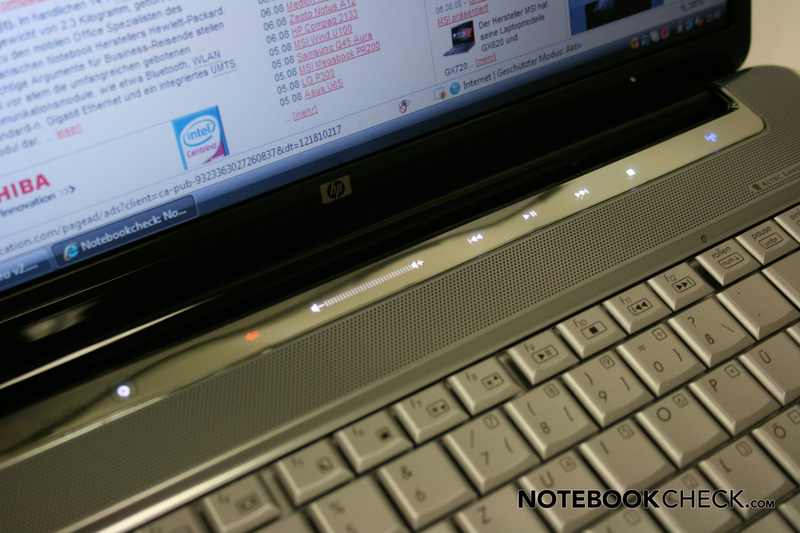 The modern designed HP Pavilion dv5-1032eg, which costs between 800 and 850 Euro at the time of writing, is an interesting combination of playable hardware and a solid case. Furthermore, the keyboard is very good and so is the provided connectivity. The average hard disk and the GDDR2 memory of the graphics card should keep the price low. 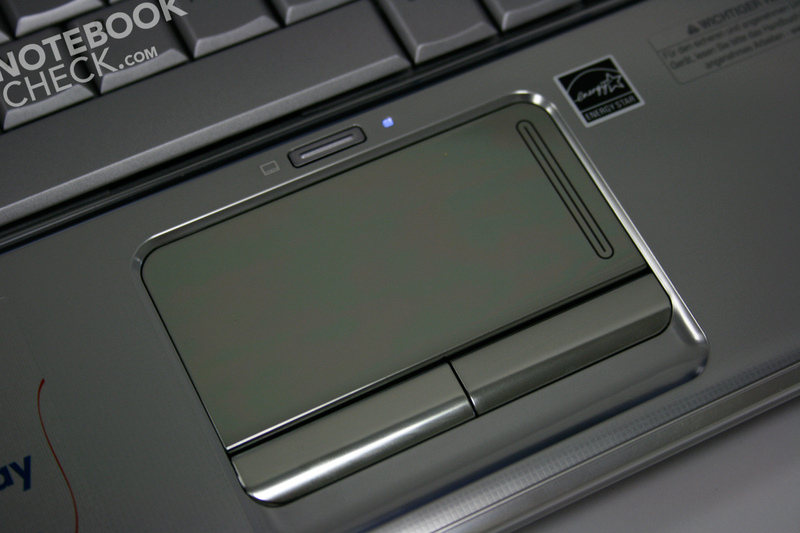 However, the biggest disadvantage of this notebook is its sticky touchpad. So, using an external mouse is recommended. 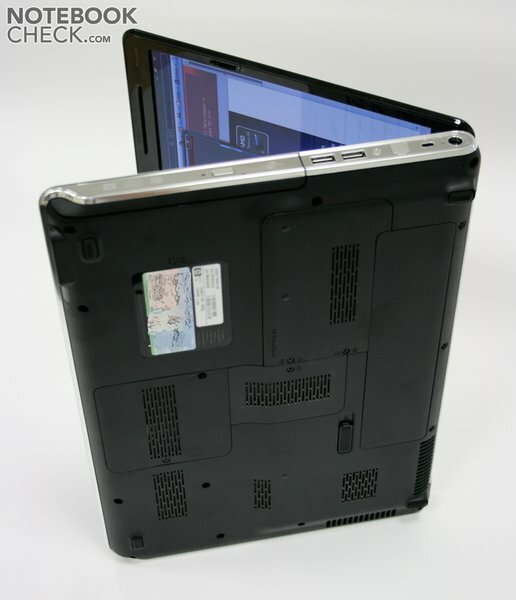 If do not mind this and do not want to use your laptop outdoors, you should definitely take the HP dv5 into consideration. Many thanks to the company MediaMarkt Wels, who kindly provided us with the test sample. You can buy this notebook there. 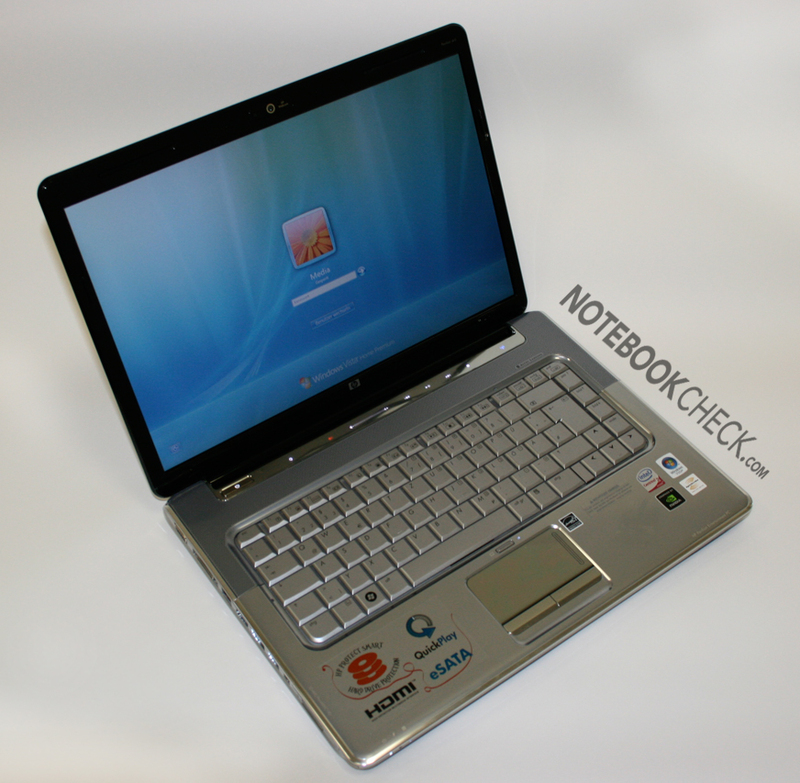 The HP Pavilion dv5-1032 is a reasonable Centrino 2 multimedia laptop. Because of the powerful components, the fans run always, but the noise level stays alright. Due to the fast graphics card and the Centrino 2 platform the performance is sufficient for games. 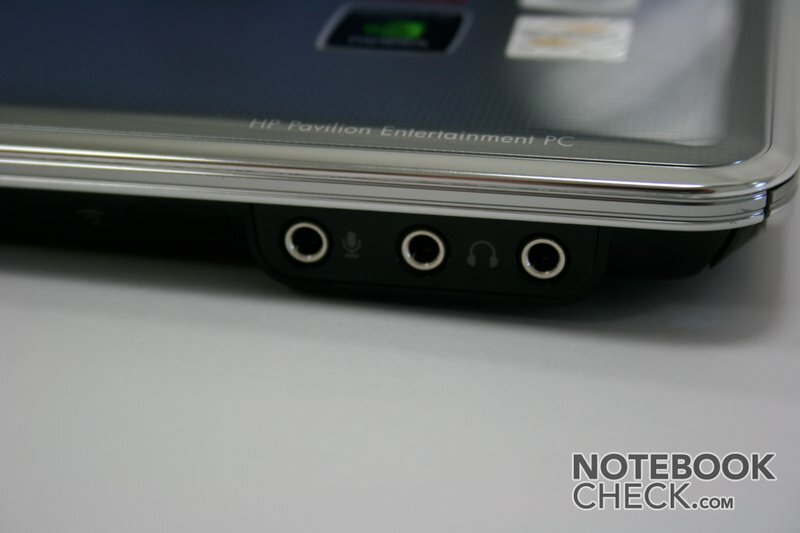 This notebook provides a special feature at the front side: two headphones ports. Design caused the basses of the speakers are weak. Nevertheless, we liked the speakers. 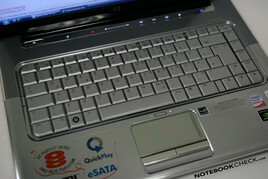 The moulding above the keyboard provides some hot keys to multimedia functions and looks good. The keyboard is very good. 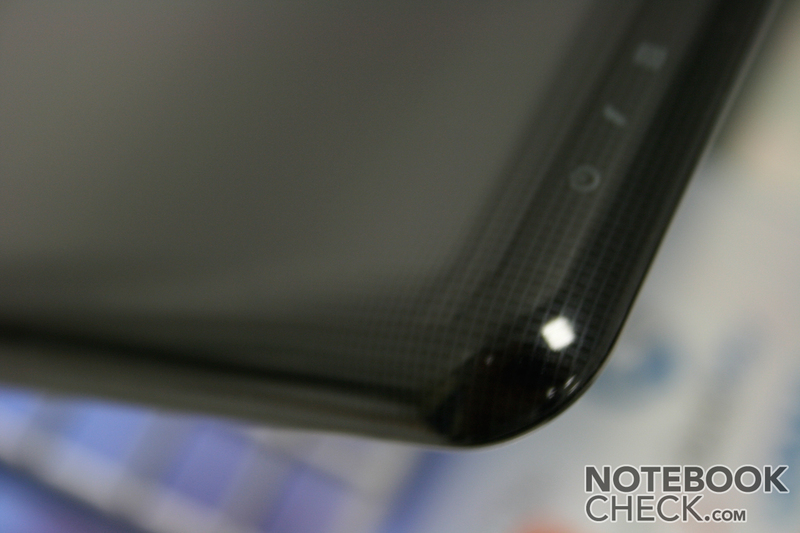 The touch pad only sufficient, because it has a sticky surface. 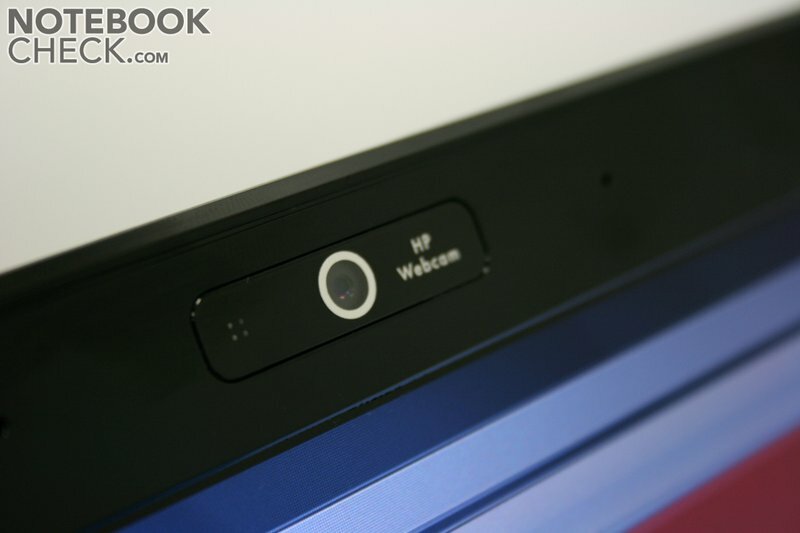 At the top of the wide-screen display there is a web-cam. 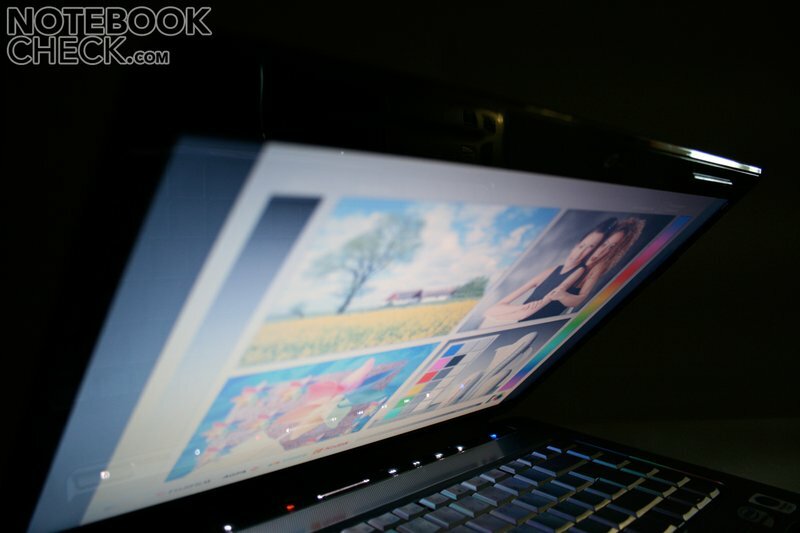 Although the picture of the reflecting display looks good, it is not ideal in terms of brightness, illumination, and viewing angles. ... and white indicator LEDs. 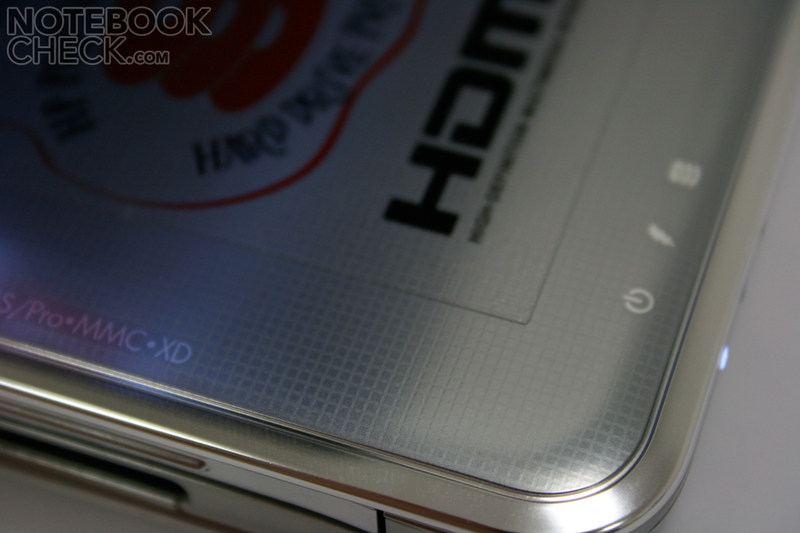 Unfortunately this high-gloss surfaces are very sensitive to fingerprints. ... and on top part. The same is true for the surface temperatures. So, this notebook is recommendable for price-concious gamers.